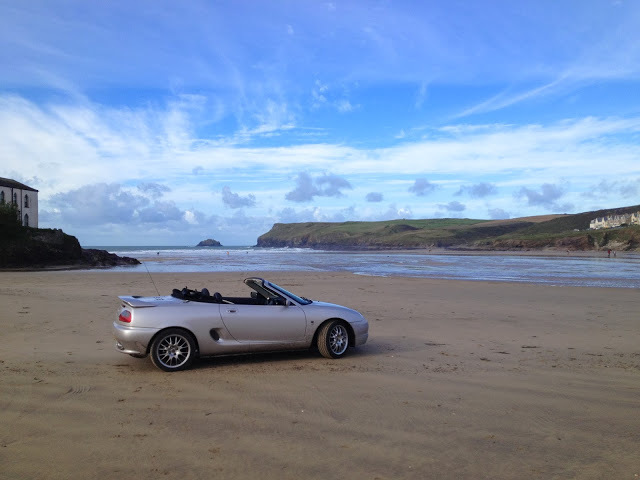 Can you fit a surfboard in an MGF? 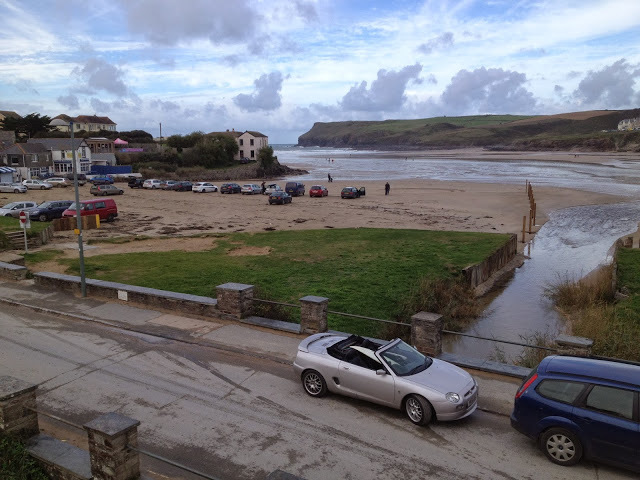 Although surf racks are available for the boot lid, it may not be possible with models such as the Trophy and Freestyle, which have a boot lid spoiler. You can fit a surfboard up to around 6’2 in a small convertible, with the fins and tail as far into the footwell as possible and the nose pointing towards the rear of the car. With boards over 6’2 you may need to remove the passenger seat headrest. In the MGF this causes zero problems with the roof going up and down, although with boards over 6’2 just be careful not to scrape the rear screen with the nose of the board when you’re putting the roof up or down. 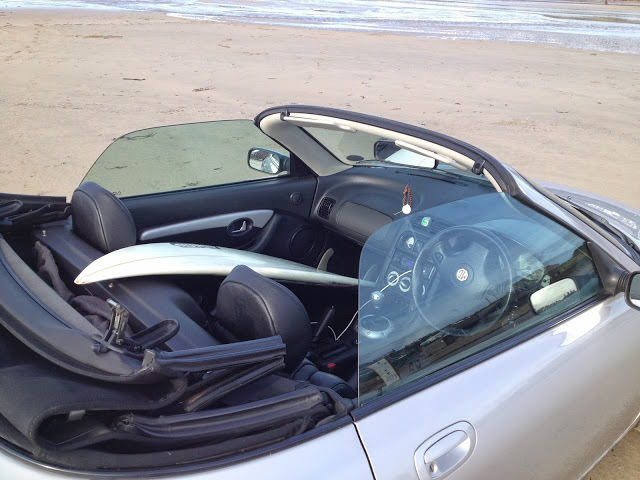 Pictured is a 6’0 surfboard inside an MGF Freestlye without removing the headrest. There is enough space in the boot for your changing mat, towel and wetsuit, so there you have it, you can own a convertible and still go surfing! ← What is the Deus CB100?